Here we go, some lovely warm weather. Just what we’ve all been waiting for. As we well know it’s not just us that’ve been teased over the past few weeks. Our minibeast friends have been on the hunt for some sun too. And being a beekeeper I’m always on the lookout for the hum of pollinators whenever the sun hits. On those sunny days few and far between, I have revelled in a bit of gardening alongside those minibeast pals. 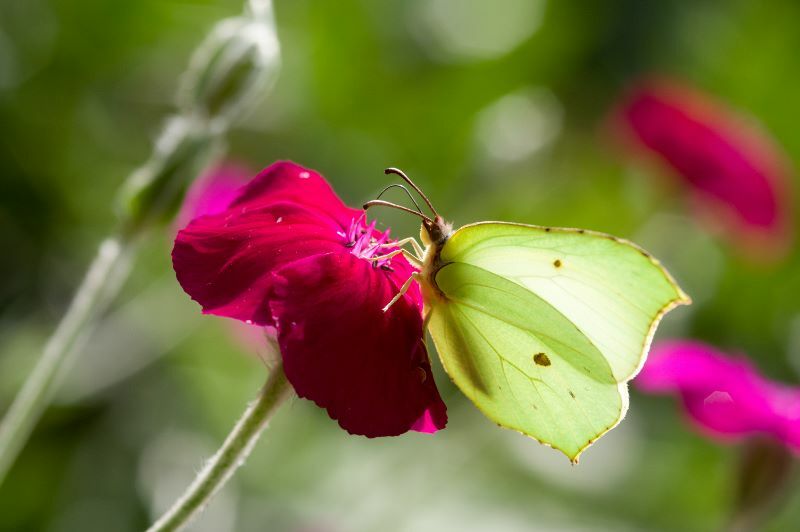 Insect pollinated crops make up 20% of the UK's cultivated land so butterflies, bees, beetles and many other insects are so important (source: British Bee Coalition) and making your garden pollinator friendly is an easy way to help give nature a home. Here are some of the fellows that have been grazing on the pollen in and around our garden. 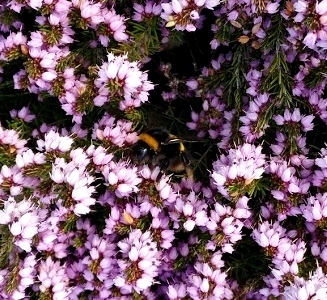 This species of bumblebee is abundant in the UK and in fact it’s becoming winter-active in some cities. This means that nest establishment can happen as late as October and November with worker bees flying all winter. So far this spring I’ve seen a lot of queens bumbling about and I’m awaiting the true worker season to begin. 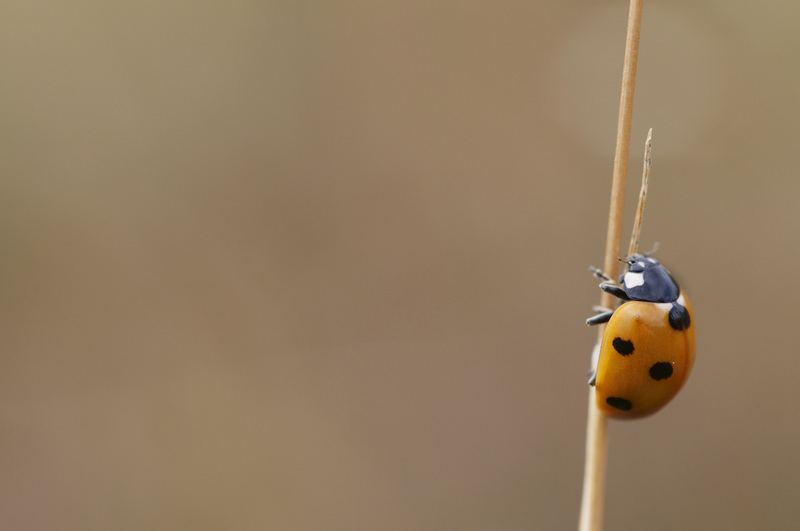 Fairly easy to identify, the seven-spot ladybird has, you guessed it, seven spots. I remember being told when I was a child that the amount of spots on a ladybird meant was the equivalent to its age. That’s not true, I don’t know who told me that but they were lying. Ladybirds live for a year and during that time eat over 5,000 aphids, though they supplement their diet with nectar which in turn pollinates the flowers and vegetables in your garden. Sadly, the harlequin ladybird has invaded and now out-competes many of our native ladybirds for food and has therefore seen their decline. 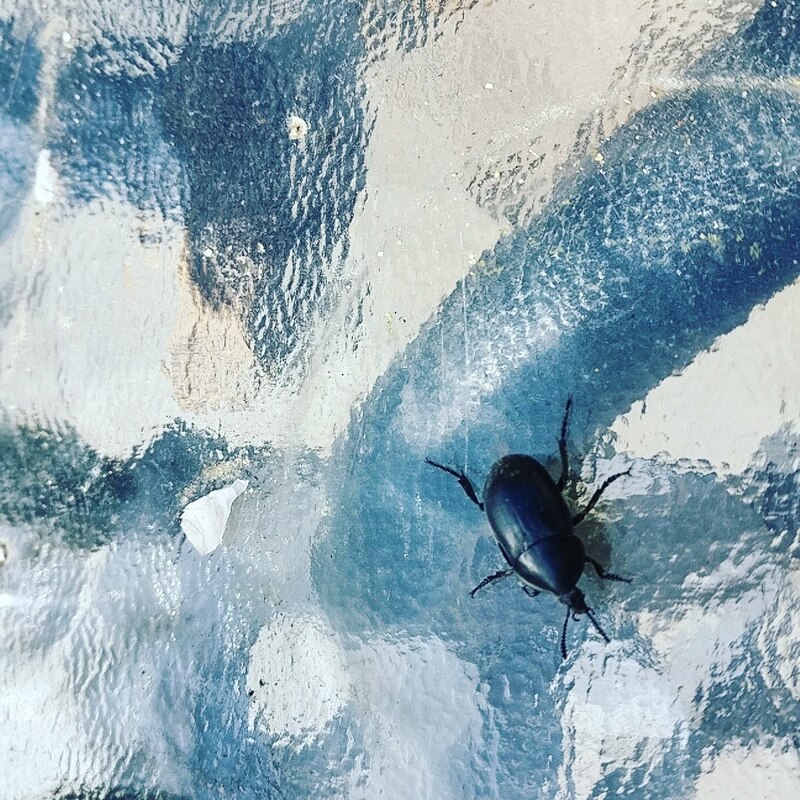 I just spent quite some time trying to identify this specific ground beetle but to no avail (if you can identify the species let me know in the comments below). It had a little wonder on our garden furniture though. Beetles are another important pollinator and some sources suggest that they were one of the earlier pollinators. This early emerging butterfly is a sure sign to me that spring is on the way. You can find the caterpillar feeding on buckthorn towards the end of May and the butterfly will hibernate in ivy, holly and bramble so you’re sure to see one near you if you live near these plant species. I mentioned my beekeeping earlier in the post. Despite now being a semi-domestic breed and considered livestock by many, the honey bee still has an important role to play when it comes to pollination. 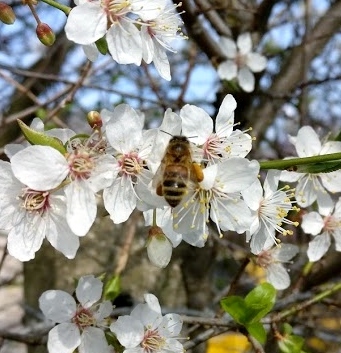 Remember that 20% of cultivated land I mentioned at the top, well honey bees can contribute between five and ten percent of their pollination. Buy or build some bug houses. Bee and butterfly houses are easy to get hold of but so it is also easy to build your own. Plant a wild flower patch. Wild flower seed mixes are easy to get hold of and a great way to attract pollinators looking for food. If you have space, you could even plant a tree as a full adult will host thousands of flowers worth of forage. Provide a water source. Pop some stones or corks into your bird bath as a little landing pad. Let us know in the comments below of any pollinators you see in your garden or if you have any tips for attracting them.